Extremely well maintained 1261 sq ft bungalow in the ever-popular family neighborhood of Jamieson Place! 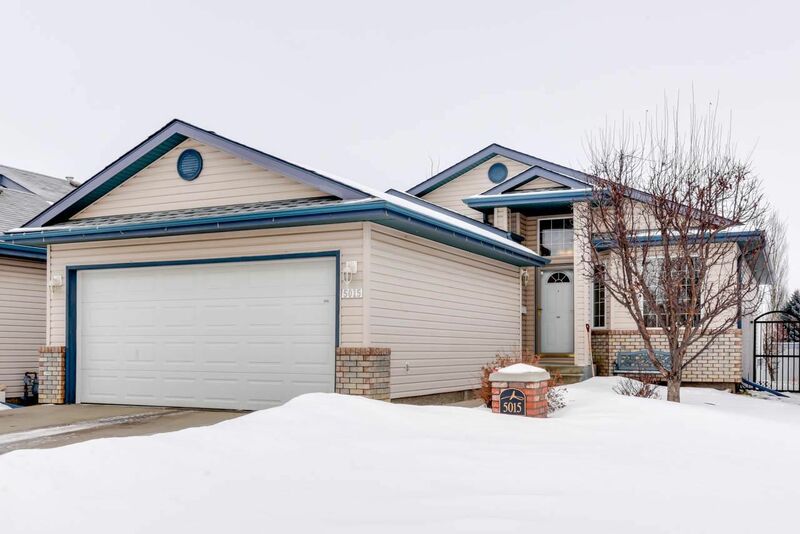 This fully finished home offers over 2400 sq ft of living space featuring a vaulted ceiling in the open concept main floor, peninsula-style kitchen with tons of cupboard space, upgraded lighting and new convection range (2016), dining room with patio doors leading on the deck and a spacious living room with gas fireplace. The generous master suite offers a 3 pc ensuite bath. A second bedroom, full bath, home office and laundry room are also conveniently situated on the main floor. A huge family room, 2 more bedrooms and a 3 pc bath complete the basement. Additional upgrades include: Furnace & A/C (2016), roof (2016), water softener & a heated garage with enough space for a full-sized pickup. This lovely home backs onto a very quiet stretch of greenspace/walkway and is located close to some of West Edmonton's best schools and only a couple of minutes to both the Anthony Henday and Whitemud Fwys.